The physical therapist will monitor the patient's heart rate, blood pressure, and exertion level with the exercise. With each visit, the goal is to increase exercise tolerance. Education also plays a role in phase I cardiac rehabilitation. The therapist may educate the patient on ways to modify cardiac risk factors and disease processes. 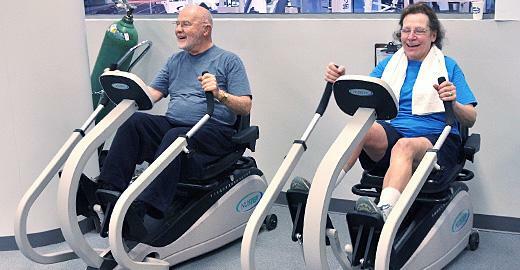 Who Benefits from Phase I Cardiac Rehabilitation? When the patient is discharged from the hospital, further cardiac rehabilitation may be required. To continue on with cardiac rehabilitation, the patient would require a physician prescription for Phase II Cardiac Rehabilitation. Last Modified: November 09, 2018. Contact Lori Holmes with questions about the content of this page.